Metaphor IT gain Cyber Essentials accreditation and so can you. Launched by the UK Government in June 2014, the Cyber Essentials scheme is a cyber security standard that organisations can be assessed and certified against. As part of Metaphor IT’s ongoing efforts in supporting and promoting best practices within Cyber Security, we have achieved the Cyber Essentials Accreditation. Gaining this accreditation highlights Metaphor IT’s dedication to ensuring its systems, data and any technologies used, are secure from cyber threats. The cyber essentials scheme encourages businesses of all sizes in any industry to adhere to best practice in IT Security. It gives your business, clients and suppliers the confidence that you are addressing cyber security effective and mitigating against risks. It is becoming increasingly important for providers to demonstrate, to customers and other stakeholders, that they take cyber security seriously and have implemented the basic cyber security controls. You could also reduce your cyber insurance premiums as some insurance agencies often look more favourably on organisations that have achieved cyber essentials certification. Need help with your accreditation? The certification includes an assessment questionnaire and external vulnerability scan that independently verifies your security status. Metaphor IT can help prepare your business to pass the self-assessment questionnaire as well as perform the external vulnerability scan. We will ensure you can demonstrate that you have the key controls in place. Patch management is about keeping software on computers and network devices up to date, so that Hackers can’t take advantage of known vulnerabilities in operating systems (OS) and third-party applications. Secure configuration refers to security measures that are implemented when building and installing computers and network devices to reduce unnecessary cyber vulnerabilities. Firewalls and gateways provide a basic level of protection where a user connects to the Internet. They monitors all network traffic and can identify and block unwanted traffic that could be harmful to your computer, systems and networks. Protecting user accounts and helping prevent misuse of privileged accounts is essential for any cyber secure system or network. 88% of insider threat incidents included privilege abuse, according to the 2014 Verizon Data Breaches Investigation Report (DBIR). Protecting against a broad range of malware (including computer viruses, worms, spyware, botnet software and ransomware) and including options for virus removal will protect your computer, your privacy and your important documents from attack. 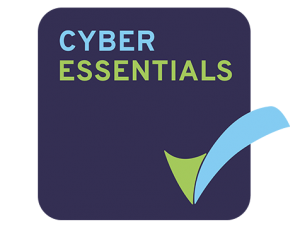 The Cyber Essentials Scheme identities fundamental technical security control that your organisation needs to have in place to help defend against cyber threats. Achieving this certification will also help you address other compliance requirements such as the General Data Protection Regulation. Get in touch with us today if you would like help and advice on how you can achieve Cyber Essentials.